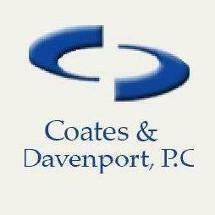 Founded in 1974 as Coates & Comess, the law firm now known as Coates & Davenport, P.C. has grown to meet the changing needs of our clientele. Today, our legal services have evolved to meet the personal and family needs of long-time small business clients. We offer such clients comprehensive representation, from forming a business to handling bankruptcy to family law matters to trusts and estates to representation in residential and commercial real estate matters. Contact us in Richmond to learn more about the scope of our practice and how we can serve your needs. We have adapted our legal practice to changes in business, family structures and technology. Coates & Davenport, P.C. is fully supported by the latest communications and information technology. This saves us time, costs, and improves responsiveness. Another sign of change is our representation of clients in areas that were far less visible a generation ago. We have a thriving practice in matters such as intellectual property, employment and discrimination law, franchise law, software licensing, and residential relocation services for national employers with mobile and flexible workforces. Our attorneys average more than 20 years of practice each. Our firm is AV-rated* under the Martindale-Hubbell peer review rating system. Our commitment to outstanding client service as well as the versatility and breadth of our practice accounts for our success since 1974. For additional information about the scope of our practice and our ability to represent your interests effectively, contact the Virginia law firm of Coates & Davenport, P.C. Dulin, Betsy E. Esq., P.E.